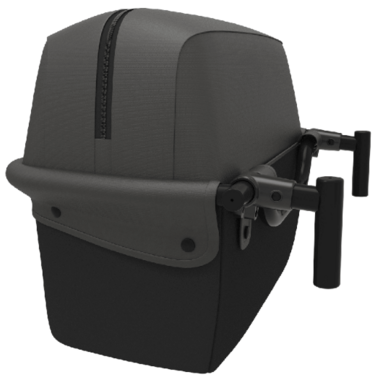 Designed to add even more cargo space to the Cruiser, our lightweight aluminum and soft-sided storage basket mounts solidly into the Cruiser”s two anchor points behind the rear seat. 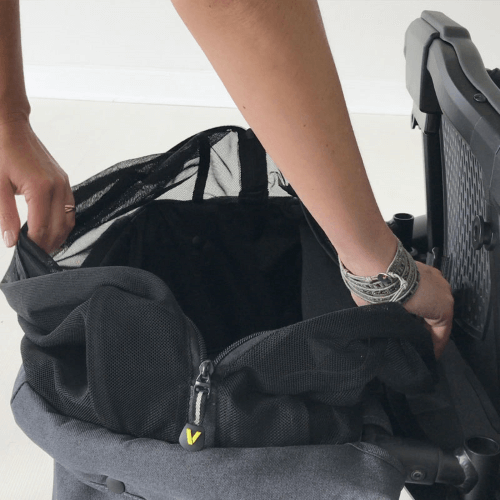 It folds for easy transport or storage without removal. The soft sided construction is removable and machine washable. A zipper hood either discreetly rests on the bottom of the basket or doubles the capacity by covering clothes and other bulky items. 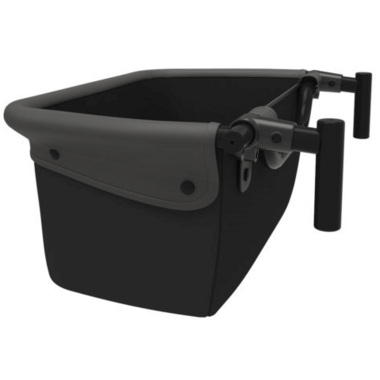 Drink and Snack Tray and Napper both fit comfortably in this accessory. This is a really well thought out accessory. Was initially unsure about the extra expense, but am really glad that we got it. Itâ€™s massive and can easily hold all we need for a day out. I love the â€œzipper hoodâ€�; it makes it easy to bring items like blankets and extra clothing without having them take up space in the main basket. Itâ€™s so easy to attach/remove.